It is the time of year when our deepest thanks are offered for those brave men and women who have served and continue to serve our country to keep her safe and free. We are the land of the free and the home of the brave. We are America. It is my pleasure to join the Fantabulous Cricut Design Team in saluting our troops, both past and present, for their dedication to protecting this country, and honoring them this Memorial Day. I chose the words from Lee Greenwood's song, "God Bless the USA". How appropriate and fitting. As soon as I sat down to do this project, those words kept playing through my head and I knew they would be the inspiration for my card. Naturally I chose red, white and blue. I computer journaled the sentiment and cut out the USA and "God Bless America" using the Stand & Salute Cricut Cartridge. 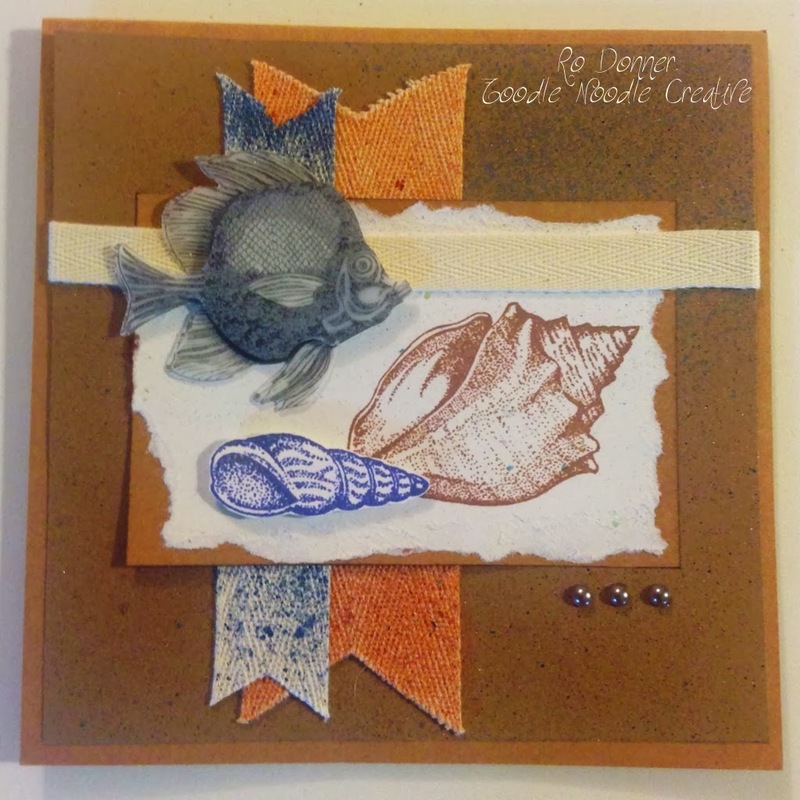 The cardstock is from Recollections (white) and Stampin' Up! (red and blue). I dug through my bling stash and found these awesome star jewels that added the twinkle. Here's a close-up of the front, and the inside of the card. I hope you are inspired to play along with the FCCB Challenge. Have a safe and happy Memorial Day weekend. God Bless! Hey, crafty friends! I found a new source for my "habit". Actually, they aren't new. They've been around for a while and are celebrating their 15th Anniversary. They are new to me, though. I came across them a short time ago and was impressed with the wonderful selection of products they have, especially their Dew Drops. Who is this amazing group? Why, it's The Robin's Nest! 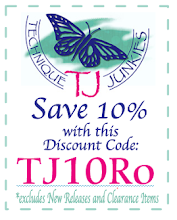 I suggest you take some time and check out all the amazing products they have to offer. Go ahead....I'll wait for you. Did you do it? Were you amazed? I really love the color combination. Soft with a kick. The black accents just makes the pink colors really pop. And there's a soft little bling element too. What do ya think? Here's a couple more pics, including the inside of this card (which I also love!). Black Cardstock from Recollections - card measures 5.5" x 5"
Ribbon is from my "stash"
I first cut the card base and wrapped the ribbon on the first layer of designer paper. I hand cut the scallop mat and top layer using a template for the design. I cut and adhered the base for the inside of the card, as well as the mat and top layer. I then stamped the butterfly and sentiment on the inside. The front layers were cut and adhered, the stamping added, and then I added the black jewels. Well, there you have it! Keep your fingers cross and show me some love! My very favorite niece just graduated from Austin Peay with a degree as a Radiology Technician and I couldn't be prouder of her. 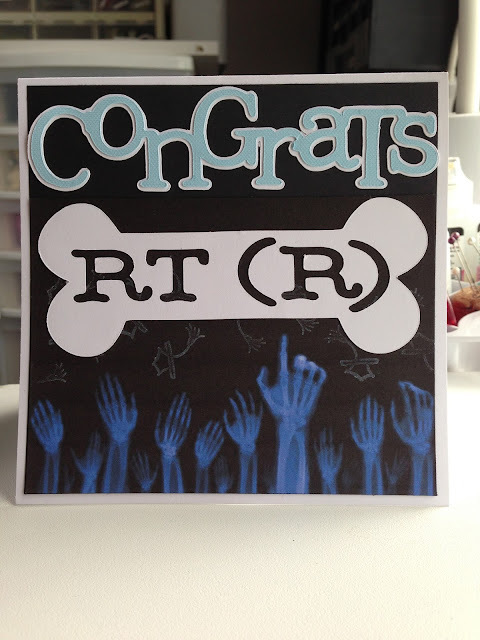 And since the challenge over at Fantastic Cricut is "Congratuations Graduate", what better combination than to do a card for the challenge that I can also send to Miss Brit! Won't you come join us for the challenge? And here is the inside. The white space at the bottom is for the family to sign their names and add a personal greeting. I used Create A Critter and Doodletype for the diecuts of the bone and text. The images were downloaded from the internet. I thought they were very appropriate for someone who will be taking x-rays! 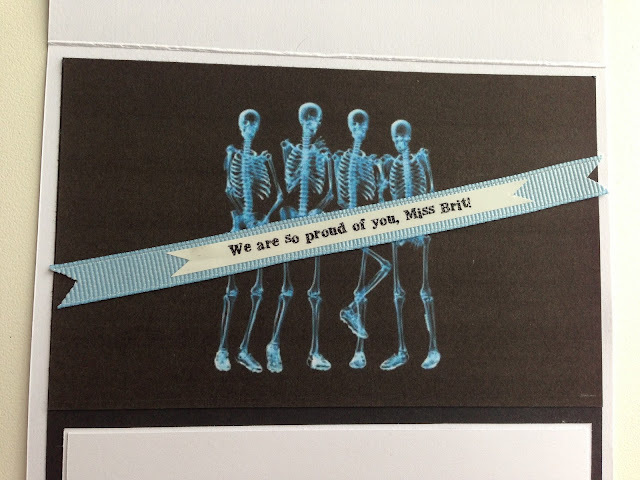 Let me know what you think of my bony card! And then head over to FCCB and see what the other DT members have whipped up to share! You will be inspired! Until next time, keepin' my fingers inky and my Cricut chirpin!